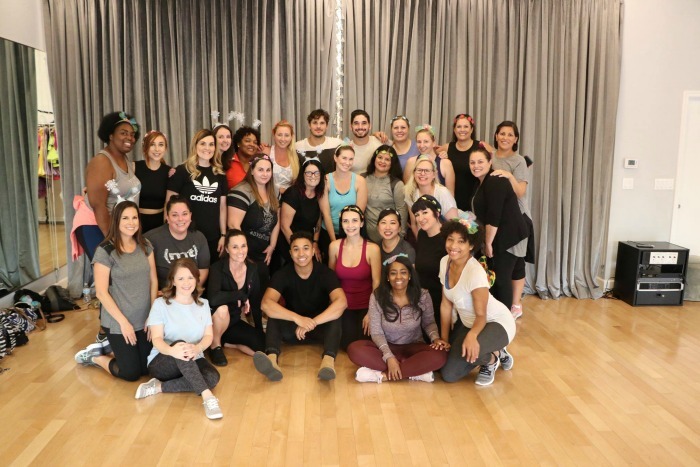 I was hosted and sponsored with an all-expense paid trip to Los Angeles to cover #DisneysNutcrackerEvent #DWTS #DWTSJuniors #ABCTVEvent. Thank you Disney for the opportunity! 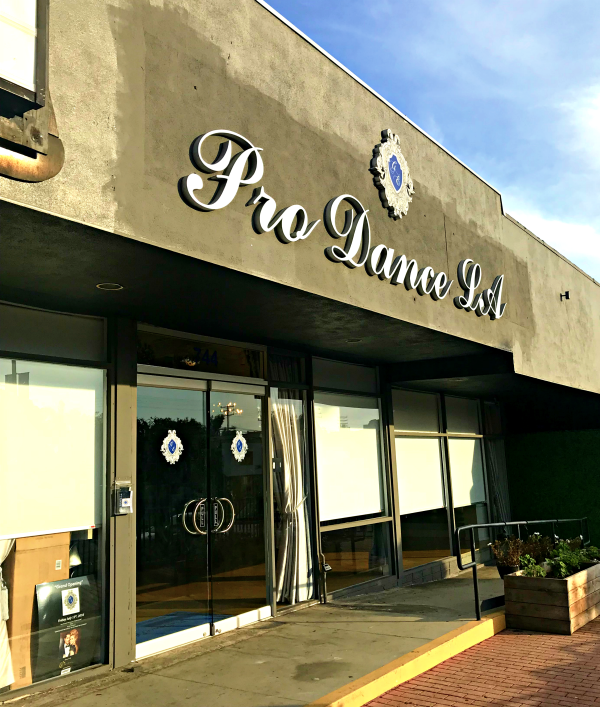 We headed to PRO DANCE LA to meet with the “Dancing with the Stars” pros and “Dancing with the Stars: Juniors” mentors. . This was so exciting, we not only were going to interview 3 of the mentors, but they were going to teach us how to dance! 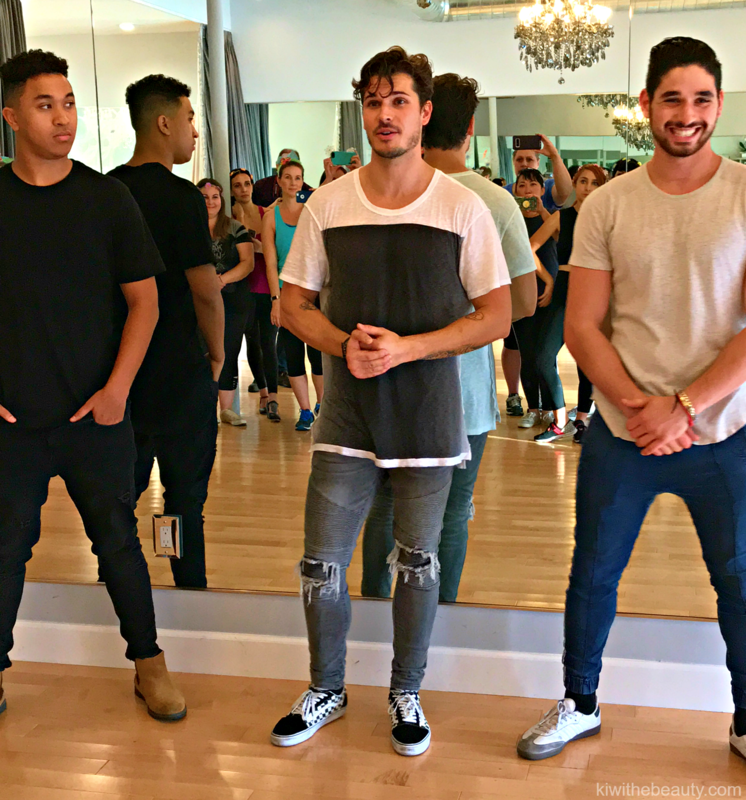 Today is not my dancing post (sorry, soon) but a cute Q&A getting to know Gleb Savchenko, Brandon Armstrong and Alan Bersten. 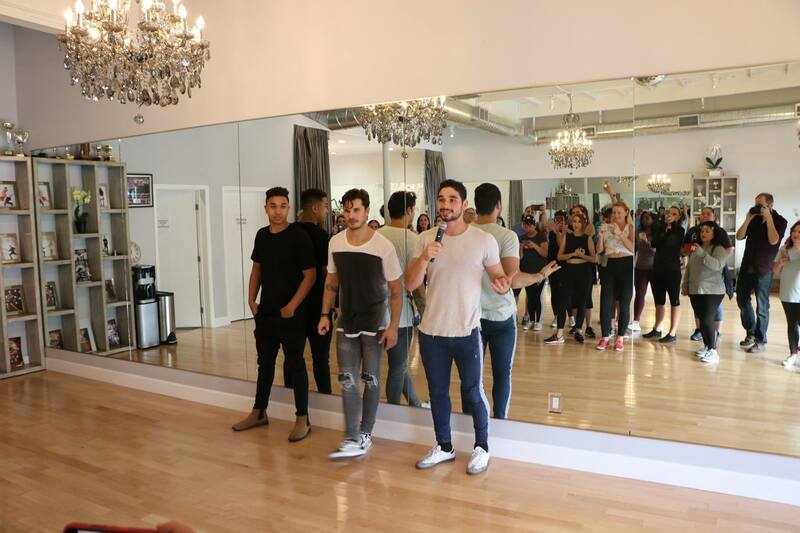 I’ve watched all three of these men Gleb Savchenko, Brandon Armstrong and Alan Bersten perform their craft on #DWTS as pros and it was so much fun being in Pro LA Studios with them. Fun Fact: This is Gleb’s actual studio in Los Angeles and he opened up his spot to have us interview them about the upcoming Semi-Finals of Dancing with the Stars and speak about their new roles as mentors on Dancing with the Stars Juniors show! By the age of nine, I was traveling across Russia doing all these different competitions and when I was 14, I started winning them. I started really enjoying it. I grew up in Russia, Moscow, and the mentality of everyone, if your kid does something, the parents go 100% in it. And then I was like, that’s going to be my career. I’m going to be a dancer. And here I am. I think it was more rewarding for me, maybe this is just me but this is my first season on the adult show, but I think it was more rewarding for me to watch my kids do well then it would be for myself to do well. I think most of us would agree that to be able to sit back and watch your kids when they finally execute it well is a million times more rewarding. On who is more challenging to train children or adults? I think it was an experience that really enlightened all of us. You know, when we’re on the show with adults there’s a lot of pressure because we’re in it. We’re in it with them. We’re going on this journey with them. With the kids, we’re able to kind of stand back and let the kids go on a journey and really help as much as we can without actually being in it. Gleb: Never give up. Just push forward and anything is possible. Alan: If you can dream it, you can achieve it. WANT TO DANCE LIKE THE STARS IN LA? 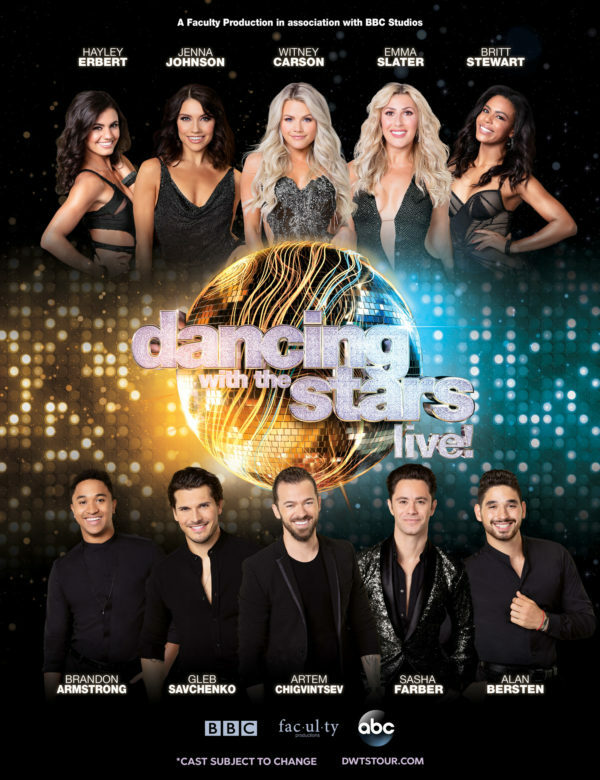 Are you a DWTS Fan? Dancing with the Stars Junior has become one of my new favorite shows. Those kids are so talented! I’m a huge fan of Dancing with the Stars and DWTS Jr. I love watching them out there on the dance floor. 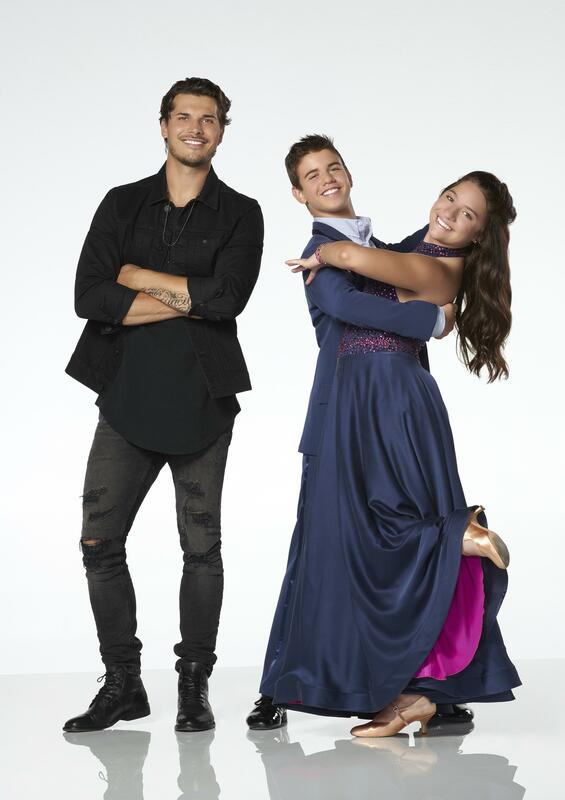 DWTS Jr sounds like such a fun show! I’m always amazed when I see children with such talent. I can’t even walk without tripping on air and here there are doing these complicated dances so gracefully! Now I wish I was around and enrol for some dancing classes since I really want to learn some Kizomba. Anyway, I think I could check Dancing with the Stars out . They seems so good at this! What a great experience. Thank you for sharing it. What a cool experience! I don’t think I have seen the show, but it would be fun to watch as a family. What an amazing experience, I’ve always been a fan of that show! What great feedback you got from your interviews. I love the Russian philosophy on supporting your child’s dream 100%! This was great insight on the people behind the scenes working so hard to make themselves and others successful. It takes a lot of dedication! I love getting the feedback of those in the behind the scenes! i love your interviews! My mom and dad were really good dancers and I had fun watching them every Saturday night dancing the boogie, cha cha and salsa. I wish I had their talent! Good thing my kids got their grandparents’ rhythm and are good dancers themselves. I am a fan of DWTS. It just amazes me how agile and graceful the dancers are. What an awesome experience! They sound like great role models for young kids. I love when adults help children express themselves creatively. My mom would be so jealous. She loves Dancing With The Stars. We used to watch it together, her in Chicago, me in Atlanta and us on the phone. But I fell off. She still watches. I am a DWTS fan. My daughter loves this show. They are all so talented! I used to watch DWTS when it first came out, but I don’t really watch TV anymore. Really cool that you got to meet with participants. I’m loving Dancing with the Stars Juniors show. Those kids are so good. The mentors are doing a great job. Dancing with the Stars Junior has become one of my new entertaining shows. Those kids are beyond talented! This is really dope, I’ve watched the regular Dancing with the Stars. I need to check out the Dancing with the Stars Juniors. My daughter would love that, dancing is in her spirit. It’s so great when children get to experience something that can be so life-changing. The commitment and focus that is required will definitely help them with future endeavors. These guys look like they teach a fun class. I like that they teach kids about dancing. Wow! What a cool experience! I absolutely love that show! And how neat the interviews! I agree watching my kids do thing is so much more rewarding! I am a huge fan of this show! I wish I could take a dance lesson or two, or even have behind the scenes access. Great post! I can’t wait to read your dancing post! I am a dance teacher, so I loved reading their advice to younger dancers … I’ll have to pass that along. I know my kids LOVE this show! I am probably one of the only people who doesn’t watch this show. I think I watched the very 1st season back in the day but I just don’t watch a lot of tv. Wow this is so cool! I have only recently started getting into this show and it has been really interesting seeing how professional and supportive these dancers are. Love this post! This would be so cool to be able to meet them. I would love the chance to see them in person and ask questions. This would have been such a fun event to attend! I can’t believe how talented these guys are! It just amazes me! This was a great opportunity for you. I watched DWTS jr as long as Honey BOO BOO was on and when she was cut I stopped watching. Wait, when did a DWTS junior begin? I have to admit I used to be a fan then stopped after getting upset with how the show chose its winners. Maybe I will tune into this one with my daughter. That’s so awesome! I used to watch DWTS here and there, and my old neighbor was actually one of the contestants on DWTS Juniors! So cool! What an amazing opportunity. I am jealous because I love DWTS. Your experience with everything was wonderful! This is such a wonderful experience! Congrats! It sounds like a great event! Love following your adventures!